No matter your business size, barcodes are a part of everyday operations from inventory and asset tracking to any retail check-out. A barcode is a straight-forward and accurate means to track anything through whatever process you may need. Depending on where in the product chain your business may be, some items may have barcodes already but more often than not you’ll need a flexible barcoding software to make the specific types of barcodes you need. 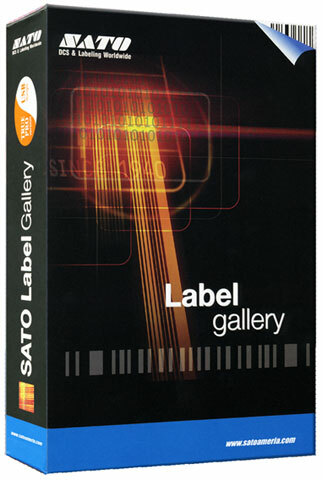 A it’s most basic, a barcode software will allow you to design and print a barcode with the specific data you need. It could be a simple product number, a unique asset ID, or shipping details for a package. Some barcoding software will provide additional features like the ability for 2D or stacked barcodes as well as automation capabilities from a database or Excel. No matter how simple or integrated of a software you may need, there is a barcoding software solution that can be set-up to accomplish any goal. For assistance finding the right software for your business labeling needs, contact one of our printing specialists at Barcodes, Inc.
Seagull Scientific has announced the immediate availability of the BarTender Print Portal App, making enterprise label printing as easy and flexible as using your smartphone or tablet. The BarTender Print Portal App works with any iOS or Android device to enable easy printing of your BarTender documents. BarTender securely controls and monitors access to labels and documents, while the BarTender Print Portal App enables users to input print-time data or select options through customizable forms, and print from their mobile device to IP and Bluetooth printers. BarTender users across a wide variety of industries will gain significant printing flexibility with the BarTender Print Portal App. In the warehouse, workers equipped with a mobile “belt printer” can enter label data via the app to generate supply chain and shipping labels where the labels will be applied – no need to return to a central printing station. Healthcare workers can access and print accurate patient labeling at the bedside. And in field service applications, where drivers increasingly travel with small footprint portable printers, the most up-to-date labels can be printed on-demand at remote locations. The industry leading label design software, BarTender, is available in several version to meet the needs of your business. From a single desktop license to powering your whole enterprise, there’s a BarTender version to fit the bill. In their continued efforts to improve on their industry leading label design software, Seagull Scientific has just made the BarTender R2 update available for download. All BarTender 2016 users are encouraged to update to R2 and access the download here. 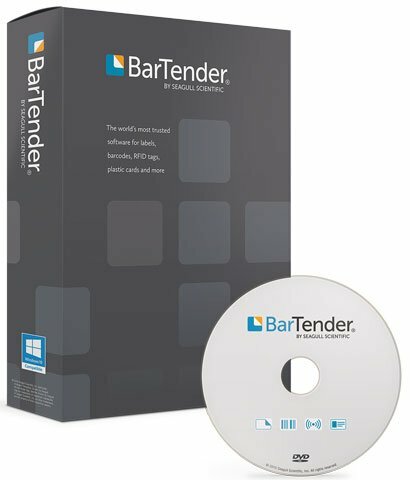 BarTender 2016 is one of the most significant releases in the product’s history, delivering new and improved capabilities that enhance your design and printing experience and make it easier than ever to manage and administer your operations. Here are just a few of the important features in BarTender 2016. Initiate printing automatically at trigger events, such as a web request or when an email arrives, a file is saved or a database record is added or modified. The readers of Business Solutions magazine have honored Seagull Scientific, manufacturer of BarTender software, for the eighth straight year as a “Best Channel Vendor”—the only labeling software company to be recognized so many years in a row. With more than 2,700 readers voting, the magazine’s reseller subscribers again cited Product Features and Product Reliability as our top two areas of strength in the category of Labeling Software. Business Solutions conducts its annual survey in partnership with Penn State University, and does not consider vendor advertising in the magazine as a factor in the results. The full results and methodology were published in the January 2016 issue.